First up, apologies if this blog post makes little sense, but it is past 2 AM as I am writing this. It is vacation and I spent some days traveling and it always screws up my schedule. So I’m a bit of an insomniac right now which surely will not benefit my writing in a positive way, but I still wanted to get this up for you. This is a short and sweet post anyway as it is all about my love for stripes. I have done a few of these blog posts in the past where I rave about a certain pattern or texture that I love. I think that one of the most timeless patterns in clothing is the stripe, not only for its versatility, but also because it suits everyone and is just an allround classic really. Here are 6 reasons why I love a good stripe. 1 – It’s fun. The main reason why I love stripes so much is because they are fun. 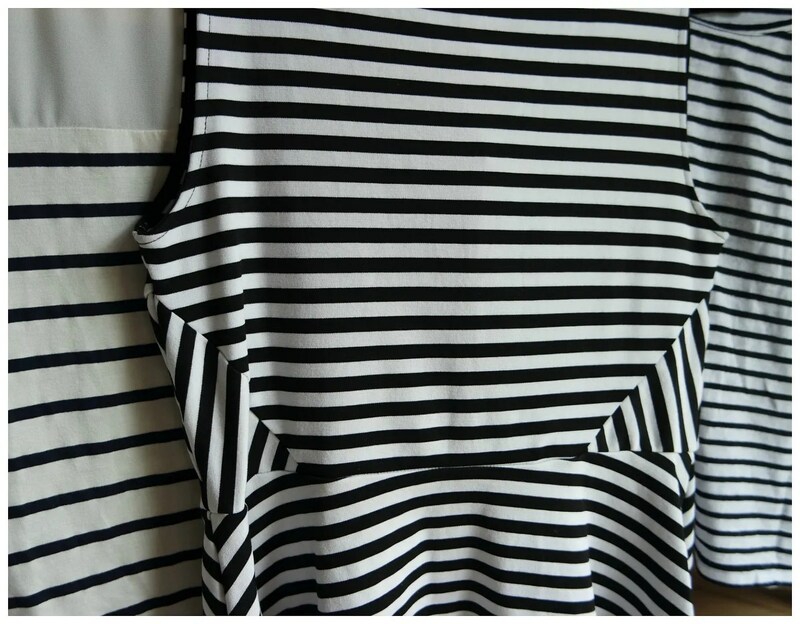 A good stripe will make an outfit and I especially love a stripe on tops or dresses for that reason. Especially dresses, they are a particular favorite of mine to come in a stripe pattern as the pattern lends itself for being worn allover without being completely crazy. 2 – It’s bold. A stripe can be a great way to add more of a statement to an outfit. Stripes come in many different shapes and sizes, run horizontally or vertically and therefore they are great for mixing and matching with other prints as well. They can be monochrome (my personal favorite) or multi-colored and therefore really make the striped item the talking piece of a look. 3 – It’s colorful. While I love a good black & white stripe, it can look a bit jailhouse if done wrong. That is why I also love stripes in colors. For spring/summer 2018 the trend is definitely a fun, colorful stripe. Either a yellow & white, green & white or red & white combo for if you like to keep it a bit more basic, or you can opt for one of many rainbow options that are currently being done as well. 4 – It’s versatile. Stripes are super versatile, mainly because they make every outfit look more effortless. Stripes have that casual chic vibe, especially if done in a navy and white breton stripe. It just creams Parisian sophistication. Of course, a black & white stripes is a very great way of wearing a stripe as it allows you to pair it off with many other colors and therefore items that you may have in your wardrobe. From shoes and blazers, to cardigans and bottoms: if you pair a black & white stripe with another item in any solid color, you have yourself a winning outfit every time. 5 – It’s timeless. How long have stripes been around as a pattern in fashion? I’d say a long time. I do have to say that a striped dress with a flared skirt instantly makes for a more retro 50s feel, while a shift dress in that pattern makes for more of a 60s looks. In short, a stripe goes with many different cuts and crop up in many different eras in the world of fashion, which makes it a great investment piece that you will get lots of wear out of. 6 – It’s simple. My last reason for loving stripes is how simple it is. While I love my polka dots, paisley prints and floral patterns, they can very easily be too much. Polka dots can be too cutesy and paisley and florals can easily be quite overwhelming. A stripe can be that center piece if you want it to be, but it can also be a more understated item in an outfit and compliment other pieces quite nicely. What do you love about stripes?